Israel this week played down pro-Palestinian efforts to obstruct an upcoming Africa-Israel summit in Togo, with officials expressing confidence that Prime Minister Benjamin Netanyahu will meet with many African leaders keen on promoting political and economical ties with the Jewish state there. Togo is set to invite all 54 countries on the continent to the event, which is scheduled for October 23-27 in the capital Lome. But the Palestinians, Morocco and South Africa are actively seeking to derail the gathering, African and Israeli sources told The Times of Israel. 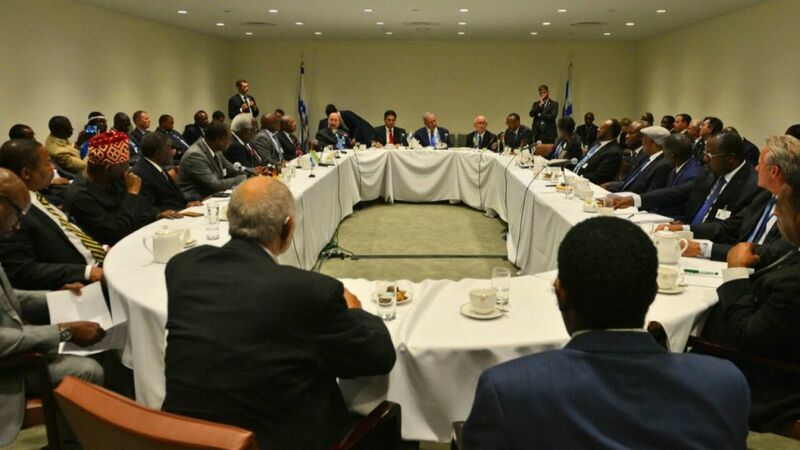 Netanyahu is expected to be the only non-African leader to take a central role in the conference. The schedule for the gathering has not been finalized, but the prime minister is likely to address the entire gathering and hold one-on-one meetings with leaders. 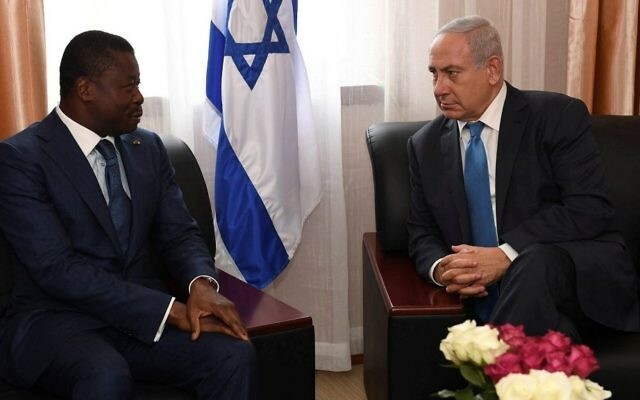 Netanyahu is due on Monday evening to host Togo’s President Faure Essozimna Gnassingbe in his Jerusalem office to talk about the summit. Between 20 and 25 African heads of state and government, plus dozens of ministers with various portfolios, are expected at the four-day conference, according to Bruno Finel, the event’s organizer. “Preparations are going very well. 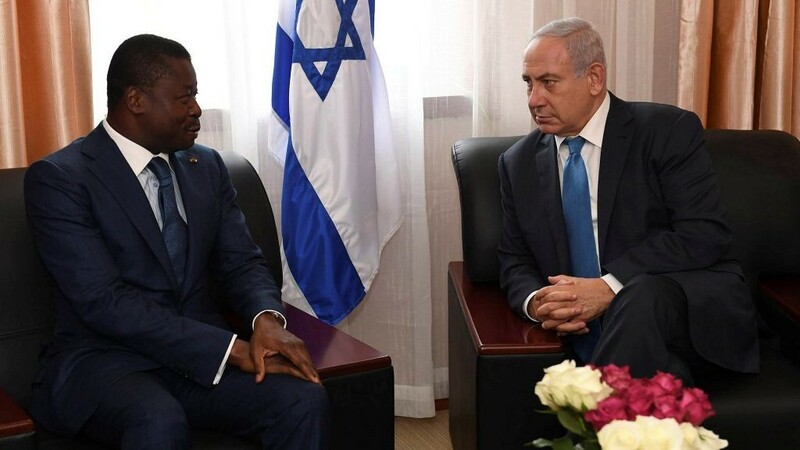 You will have approximately 150 Israeli companies attending the summit, about a dozen from West Africa and also many from Central and East Africa,” he said on Sunday. Before the politicians and businessmen gather, some 100 African students will meet with 30 Israeli students for the first-ever African-Israeli youth summit, he said. Under the motto “Israel is coming back to Africa and Africa is coming back to Israel,” Netanyahu has declared diplomatic outreach to Africa as one of his key foreign policy objectives. Offering African states development aid, economic cooperation, and anti-terrorism know-how, Netanyahu aims to use support from the continent to break the traditional anti-Israel majority in international organizations such as the UN. Last week, Cape Verde announced it will no longer vote against Israel at the UN. On Tuesday, Senegal and Guinea — two Muslim-majority countries in West Africa — will send their first-ever non-resident ambassadors to Israel. Naturally, Ramallah is dismayed about the prospects of Israel strengthening ties with countries that have traditionally been staunch supporters of the Palestinian cause. Morocco is leading the opposition to the planned African-Israeli conference. Rabat, like Jerusalem, has identified Africa’s economic potential and is now worried about competition from Israel, according to two sources. South Africa, too, appears eager to derail the summit. 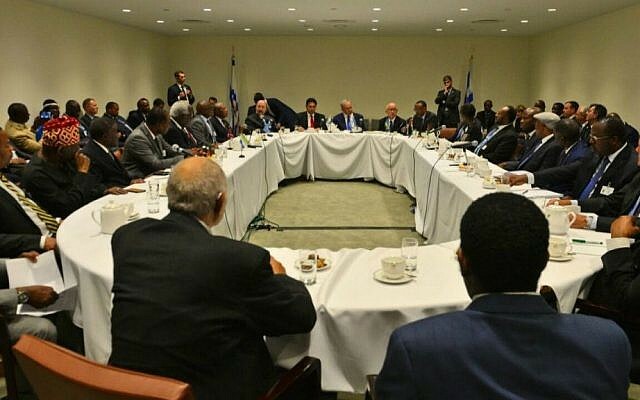 The country’s ruling party, the African National Congress, last month issued a “discussion document” calling for efforts to sabotage Israel’s rapprochement with African states in general and the planned meeting in Lome in particular. “[W]e have remained consistent with our solidarity with the people of Palestine in their cause to realise the Palestinian Statehood. We cannot turn a blind on Israeli efforts to galvanise support from Africa and elsewhere with a view to undermine the Palestinian cause,” the document states. But Israel this week showed so signs of panic.